The holiday season is in full swing, and that usually means busy malls, packed parking lots and wintry weather to deal with in many parts of the country. Despite the aura of relaxation and celebration, the holidays can be a bit stressful at times — especially when it comes to buying that perfect something for that special someone. However, anxiously pestering loved ones for gift ideas can be avoided. 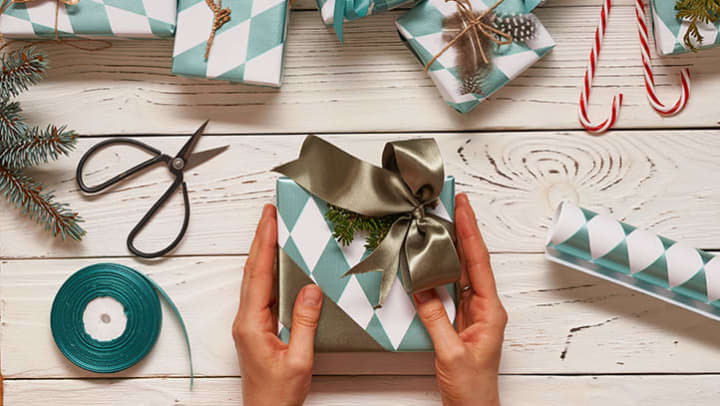 For seniors, the wish list may not be as ambitious or large as a child's, but there are plenty of functional and thoughtful gift ideas to consider. Seniors are heavy tech users, and most make use smart devices on a regular basis. That technology can get a bit expensive, so it makes sense to protect personal devices. Thankfully, there are a range of tablet covers to choose from, whether rugged cases or colorful options that feature a fun design. One thing to look for is a case that can fold and support a tablet like a stand. These tri-fold covers come in handy when using a tablet to display a recipe, for example, while cooking in the kitchen. Far from being just a kindergarten staple, coloring books are making a big impact with adult audiences. In addition to being a break from technology, coloring books can have some health benefits for seniors. Those working on their dexterity can use these implements for therapy purposes and challenge themselves to stay within the lines. Coloring books can also be used for recreation, with a wide variety of products flooding the market. There are coloring books for favorite TV shows, Norman Rockwell classics and stunning landscapes. Tea — like other beverages, including beer, spirits and coffee — has experienced a craft surge thanks to an increase in consumer interest. Tea time is no longer exclusive to the Brits, as plenty of people enjoy a hot cup of their favorite tea, whether for a morning lift, to soothe a scratchy throat or to get in a sleepy mood. One gift idea for tea aficionados is a sampler with different varieties and blends. Such sampler boxes have become popular for an array of consumer products, and allow recipients to try new flavors and uses. Options include gift boxes that may feature up to a dozen teas, or subscriptions to a tea-of-the-month-style service. Personalized game board: Whether Scrabble, backgammon or cribbage, games are usually in heavy rotation at independent living communities. A personalized game board can be a show piece for the gaming enthusiast, and can be used time and time again. Don't forget the playing cards, either. Getting a personalized deck (with a favorite photo serving as the back) can be an inexpensive way to get the same effect. Photo book: Speaking of favorite pictures, there's no way to go wrong with a photo album. A picture tells a thousand words, and you could tell quite the story with a customized photo book. There are also endless creative approaches to a photo book, like dividing it by decades, settings or people. The physical album itself is another aspect to consider, as ready-made products can be bought from arts and crafts stores — which also offer the tools needed to make a unique one. Monogrammed accessories: Monogramming ordinary household products is an easy way to transform a mundane object into a heartfelt gift. And it's not just hand towels and robes — anything can be monogrammed. One option is a gift box of practical tools and daily essentials monogrammed with a loved one's initials. Sometimes the best gift is the one that you don't pick out. While a gift card or certificate may seem like an easy way out, that doesn't always apply. A gift card to a local bookstore, for instance, lets the literary lover choose a title that interests them. A gift certificate to a favorite restaurant can similarly show forethought instead of being a last-minute idea. Vouchers for spa days are a favorite of both men and women, and show the versatility that gift cards and certificates can have.